Q. What do you hope to accomplish with your blog? Is it to one day become an author yourself, just for fun, maybe get some online attention, or maybe something very different? 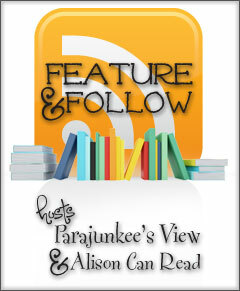 A. I first heard about book bloggers after reading a post by Amanda Hocking. She said that it was the book bloggers that really made her sales for her books soar! So I thought... I want to publish a book (I had already been working on POWER, my first book, by that time) And how great would it be if I already had a blog and followers before I actually published! I am trying to get my first book published as well. Not going so well, might have to try the self pub thing like Amanda did! Great idea! Such an awesome promotion tool ~ plus you meet people with that unmatched passion for books :) Following you!